Nardo as he was to be known was the second son of Emilio Quilietti and Valentina Brattessani. He was born at 12a Calton Hill, Edinburgh, on 9th November 1894. He would have been only 4 years old when his father Emilio died. His mother Valentina was left with 6 children to look after at this time and tragedy hit the family again when his baby sisters Eletta Filomena died in March 1899 and Amelia the following year in October 1900. Valentina’s mum Lucia Coffrini also died two days before the baby Amelia. Valentina was now left with 4 children and she left the family home of 24 Greenside Place and moved to an address at No. 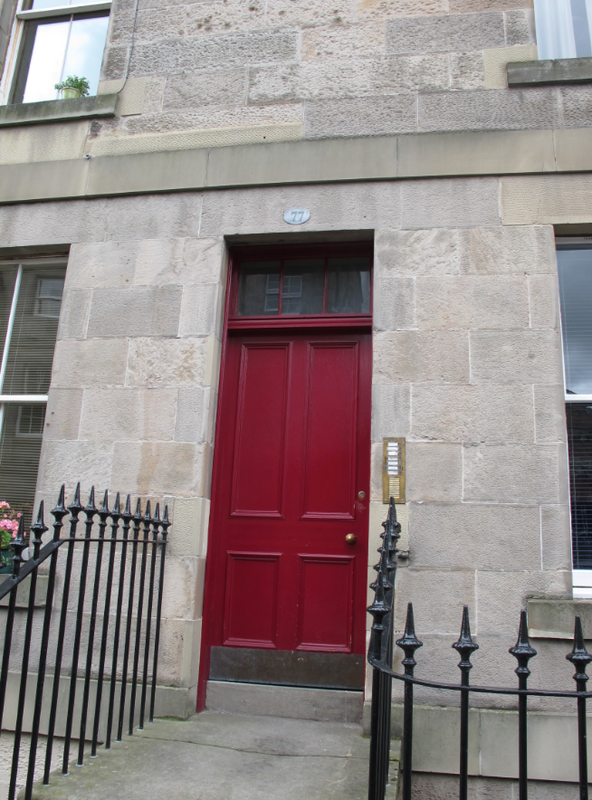 9 Greenside Place which was a large flat and at which time she invited her father and sisters to move in with her. Her youngest son Joseph Angelo was staying with the Family Glass just round the corner on that evening. 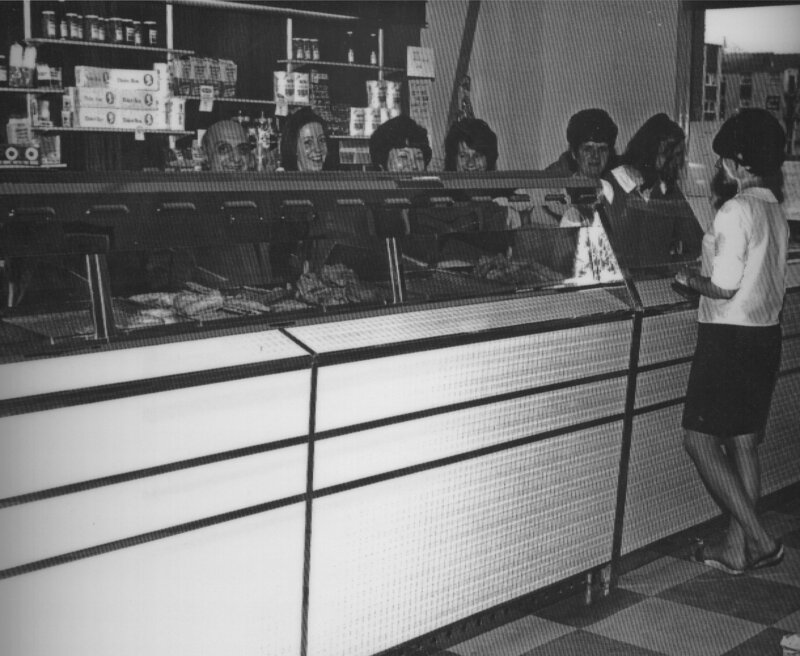 The Glass family also worked for Valentina Quilietti in one of Emilio’s 8 shops. Emilio had left Valentina relatively well off and with interests in 8 shops in the City, ice cream dealers , confectioners and fish and chip shops. Her family as we can see were all helping out that this time. Her cousin Santi became her new husband on 30th April 1901 and we know that he took over the running of Emilio’s businesses. Nardo was still a young boy and could have no influence over anything but the fish and chip business was now truly in his blood and would be his occupation right up until his death in 1991. 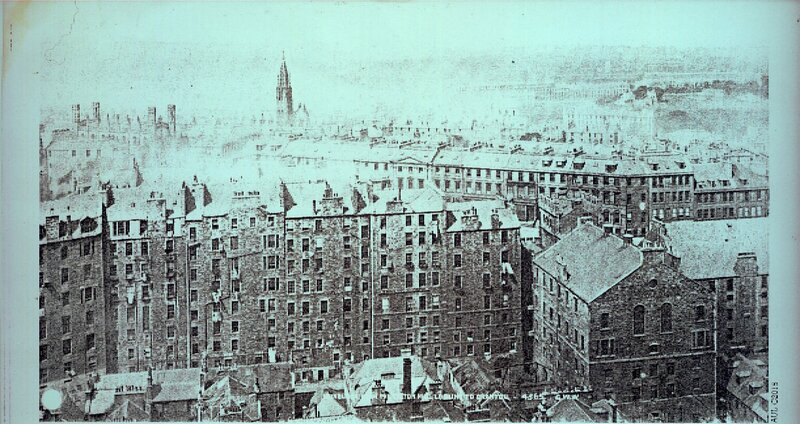 The couple moved into a flat at 13 Union Place, Edinburgh, which is just over the road from Greenside Place, and where Nardo had his shop. But it was during the war years that things started to go wrong. Leonardo as it turns out was a hero during the war nardo warwhere he earned the Victoria Cross and the British War for undisputed heroism. He was in the Machine Gunners Core , Scottish Rifles, and served in France and Russia. Mother Susan Tully, wife of Leonardo Quilietti, Fruit Merchant, who she declares is not the father of the Child and further that she had had no personal communication with him since they ceased to live together in August 1919. The poor child had this documented on his birth certificate for the world to see forever. Nardo for his part never divorced Susan, this would have been due to his Catholicism. Susan eventually settled with another partner with the surname Brunton and her three Quilietti children were known to have used this name. Susan died in 1960. 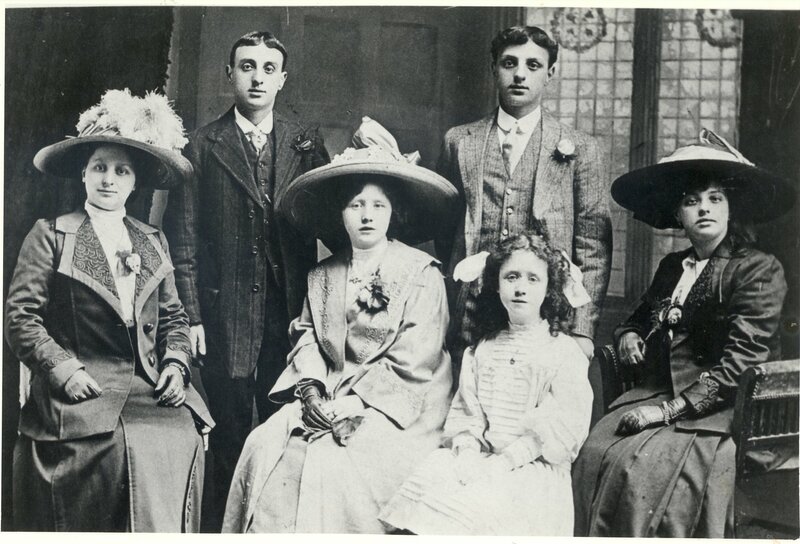 The Quilietti children and their descendants still today are known as Brunton, although their heritage is very much Quilietti. Nardo meanwhile it seems had various occupations, fruit merchant, carter, catering Contractor and restraunteur were to name but a few. He met his next parter Maggie Mitchell Williamson in 1925 . Maggie was born in 1907 and was a stunningly beautiful woman. She worked in Leonardo’s restaurant as a Waitress . 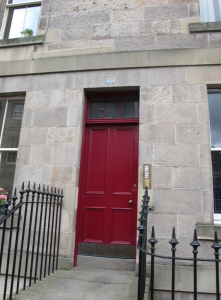 They of course were not free to marry but they did move in together in a flat at 71 Leith Street, Edinburgh. Their first child Georgina May Quilietti was born in 1926 . 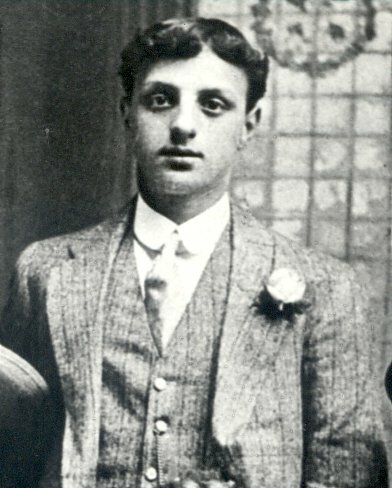 Their son Leonardo was born in The New Hospice, Abbeyhill on 8th December 1928. 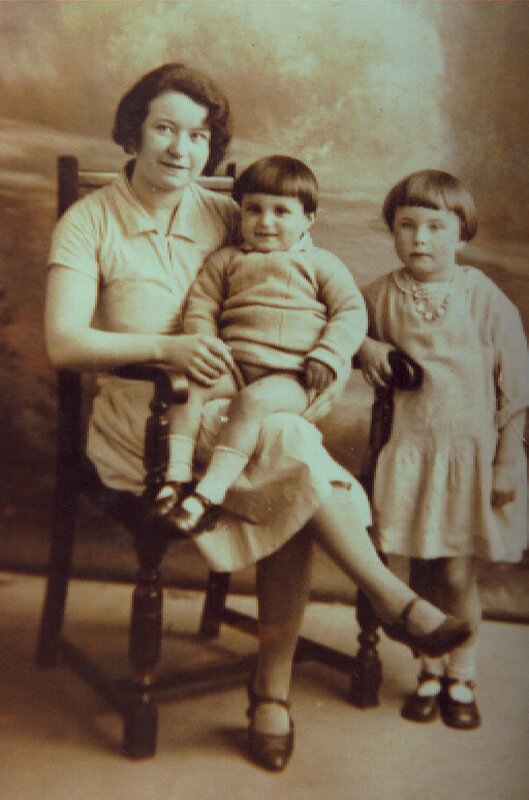 Next came Alveria Marietta who was born in Elsie Inglis Hospital on 23rd July 1934. 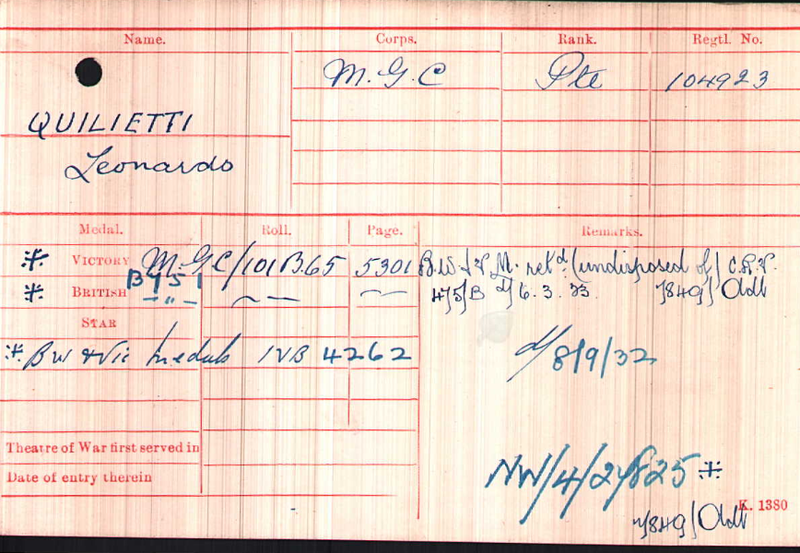 Their last son Mario followed on 31st October 1938. They spent the next decade bringing up their family and they were especially close to Nardo’s sister Valentina who herself had married and had 13 children, and his brother Giulio’s children who had tragically lost their father in 1936. Nardo also kept in touch with Joseph, his youngest brother and his 5 children. A treat for the family would be a poke of chips free of charge of course. 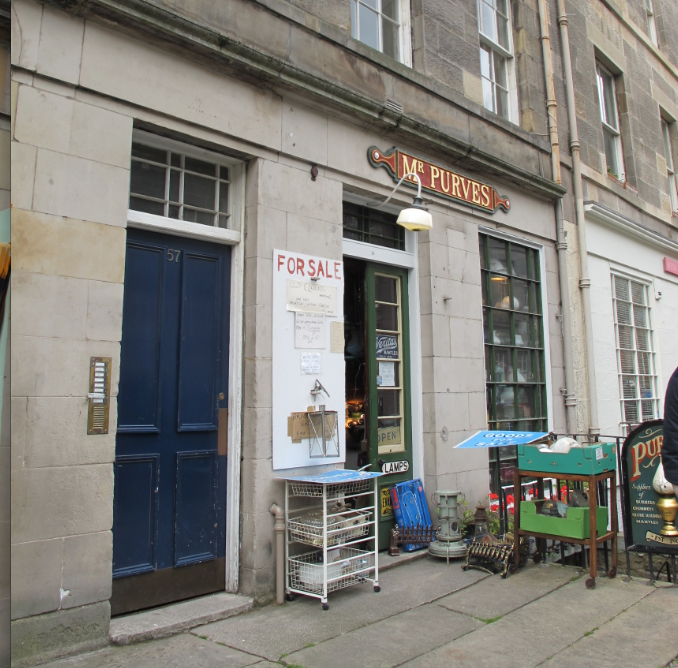 They moved from Leith to the Stockbridge area of the city, to a flat at 57 St. Steven’s Street, where Nardo had a fruit business and also a chip shop. His seven children were now of course grown up and were married and he had grandchildren and despite his years Nardo still worked in his chip shop which was in St. Stephen’s Street, Stockbridge, at this time. 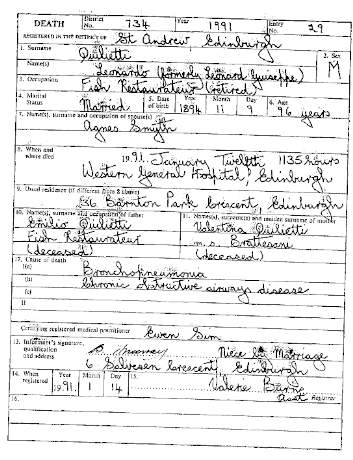 Maggie Williamson died on 8th January 1955 at the Royal Infirmary Edinburgh of Coronory Thrombosis. She was only 48 years old. Nardo was broken hearted when she died. Philomena Louisa born 4th August 1930. 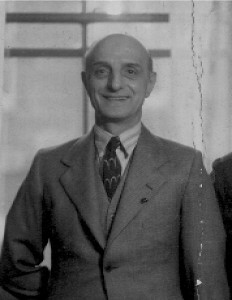 She married William Lauchlan in 1937. They had two children William and Helen. Helen married into the Philp family and they had two children Stuart and Craig. Philomena died in 1980 age 66 years. Catherine Valentina Quilietti born 14th April 1917. She married David Hunter in 1938 and they had two children John and David. Catherine died in 1993 age 75 years. Her son David was witness to her death. He lives in Guernsey. Georgina May Quilietti was born in 1926. 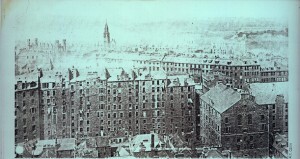 She married Robert Bruce Hills and they lived with her father at 81 St. Steven’s Street, Edinburgh. Georgina tragically died on 16th September 1947 of T.B. Alveira Marietta Quilietti was born on 23rd July 1934 and she married William Methven ,who was a hairdresser by trade, in the year 1950. They had two children William and Mark. She later moved to the U.S.A. In the year 1992 she married Clarence Edwin Prosser in the County of Nevada, U.S.A.
Mario Quilietti was born on 31st October 1938. He married Christine Jack Combe on 1st August 1959. They had one daughter Lisa who was born on 25th June 1966. He moved to Canada where he was the President of an Industrial Oven Manufacturers.in Mississauga in Ontario. Mario has now retired back to Scotland and lives in Inverurie. 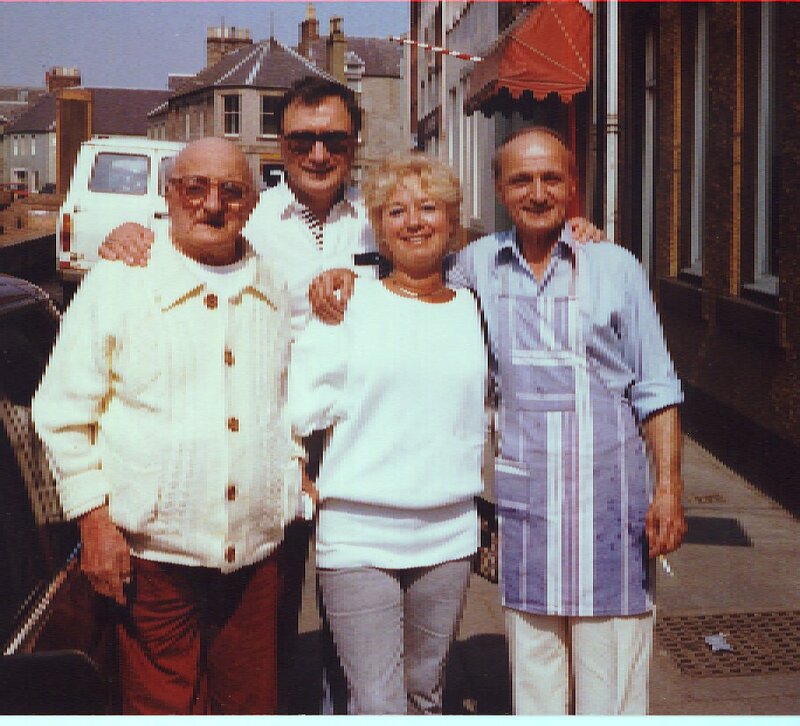 Nardo in the late 1950s bought another chip shop at Sighthill and he moved house to more prosperous area of the city at Barnton Park Crescent at the west of the town. 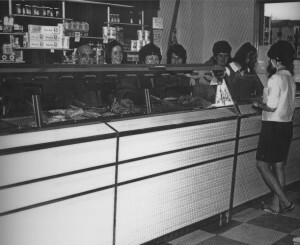 His new chip shop brought him more than he bargained for it was here that he met his new partner Agnes Smyth. Agnes was the manageress of his new shop and she was 30 years younger than him. When they married in 1969 Nardo was 65 and Agnes was a Spinster and age 35. The age difference however made no difference to their relationship and their marriage was a happy affair. They remained married until Nardo died in 1992 age 98 years. Agnes was heartbroken after his death and for a while she let her rooms out to Italian students who were studying or over for the summer. Agnes died suddenly on 16th May 2003. She was found dead in her home that day. Good work, came by your site by accident. Lovely tribute to a wonderful man. ‘Uncle Nardo’ was my Auntie Agnes’ husband. I have very fond memories of this sweet and funny gentleman. I knew he had served his country, but didn’t realize that he was the recipient of such prestigious medals. Stands to reason, though, for he was one tough individual. Kudos to you for assembling this homage. Hi Helen,I left a message earlier on this website regarding Agnes Quilietti/Smyth who was my Aunt.I see from the post above a message from Roxann Lynch-Burns who will be my cousin. I would very much like to contact her,would you be so kind to forward my email address to her.The last time I saw her and her Father,Mother and Sister was at my wedding in1972 in Harrogate Yorkshire.Aunt Agnes and Uncle Nardo also came.